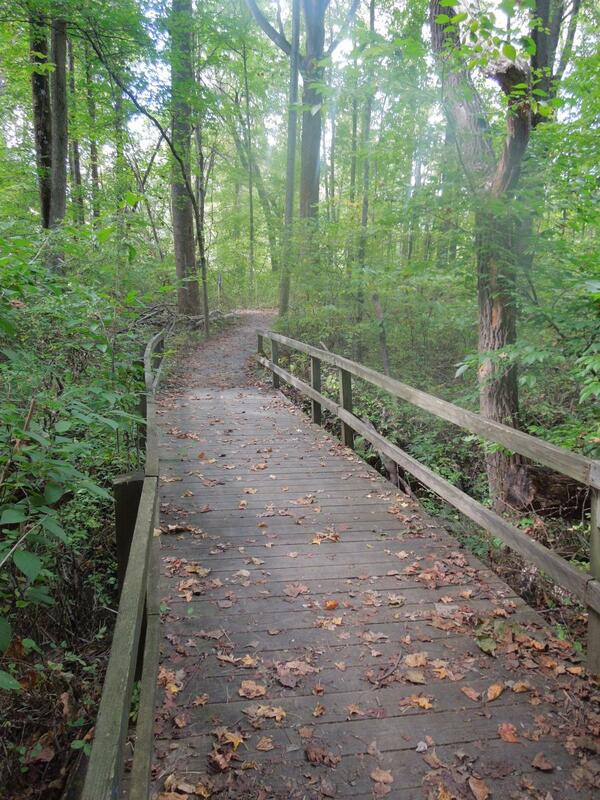 SERC has three main hiking trails: the Java History Trail, the Discovery Trail and the Contee Watershed Trail. They each range from 1 to 1.5 miles long, but can be combined to form longer hikes. View more information about the trails below, and click on the links to download maps. Travel through time, and discover how Native Americans, farmers and scientists have used the land through the centuries. This trail starts at the Reed Education Center and takes a loop through the forest. Follow the blue trail blazes on the trees. Stroll along the waters of the Rhode River and Muddy Creek, and enjoy the quiet beauty of the marshes. To access the Discovery Trail, start at the Reed Education Center and follow the waterfront section of the Java History Trail for about a quarter mile until you pass a boardwalk. Go left at the fork after the boardwalk. Follow the pink trail blazes on the trees. Start at the Contee Mansion Ruins and take in a scenic overlook of the Rhode River. From there, the trail dives into the forest and alongside a stream, with additional overlooks of the woods along the way. Follow the white trail blazes on the trees.